BUCHAREST (Romania), March 25 (SeeNews) - Romanian president Klaus Iohannis criticized prime minister Viorica Dancila for her pledge to relocate the country's embassy in Israel from Tel Aviv to Jerusalem. "Prime Minister Viorica Dancila demonstrates once again her total ignorance regarding foreign policy and important state decisions. In a desire to claim a decision which does not belong only to the government, as she has stated, the prime prime minister hurries to make such public announcements without having an official decision on the matter," Klaus Iohannis said in a statement on Sunday. Earliet on Sunday, Dancila promised in Washington D.C. that Romania would move its embassy in Israel from Tel Aviv to Jerusalem. 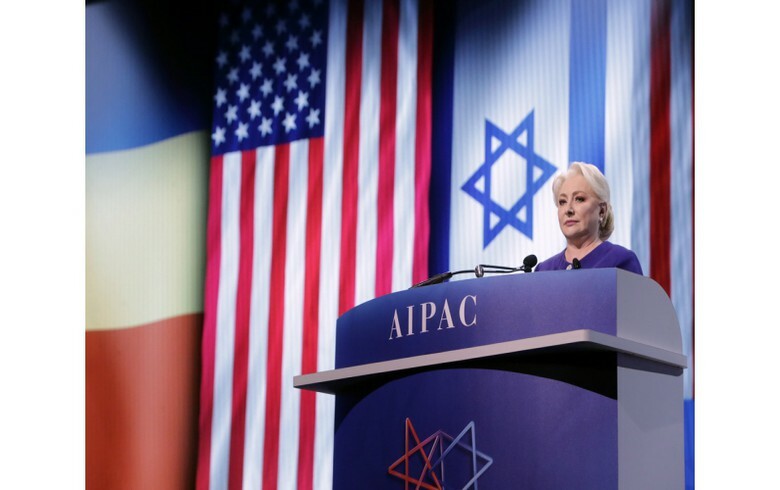 "I am pleased to announce today to the AIPAC audience that following an analysis made by all constitutional actors involved in the decision-making process, in full consensus, I as the prime minister of Romania and the government that I lead pledge to move the Romanian Embassy to Jerusalem, the capital of Israel," Dancila said at the annual conference of the American Israel Public Affairs Committee (AIPAC). Shortly after Iohannis' statement, Dancila told local TV station Antena 3 that her statement in Washington ‘was only a personal opinion’ and that according to Romania’s constitution, Iohannis has the final say on the issue. In April 2018, Iohannis asked Dancila to resign following tensions arising from the government's intention to relocate the embassy. The international community does not recognize Israel's jurisdiction over Jerusalem. Last year, the United States became the first state to move its embassy from Tel Aviv to Jerusalem - a development that has sparked widespread criticism. Israel and the Palestinians both claim Jerusalem as their capital.